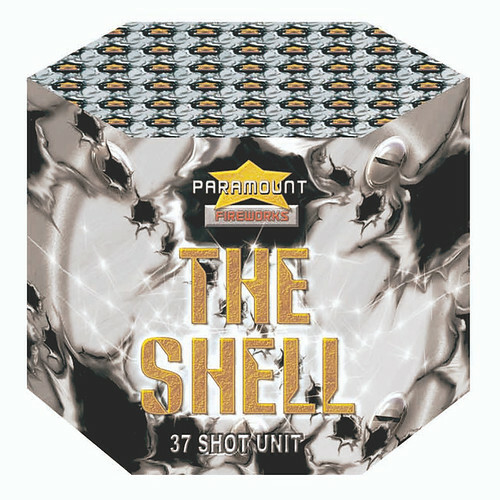 The 1.3G Shell 37 shot CE barrage. Massive 30mm tubes - The maximum tube size allowed in the UK. It's massively loud with 37 beautiful shots of majestic glittering palm effects, brocade crown, blue stars and strobes in a stunning red/gold which fill the sky. A great mid display piece and a must-have for the discerning pyro fan.